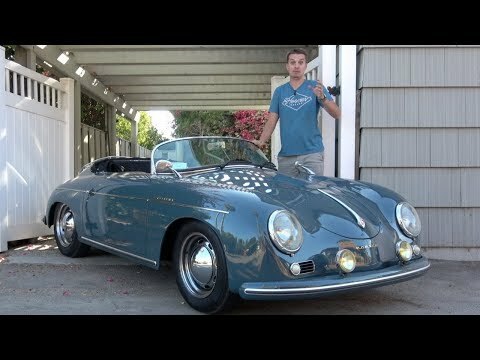 On June 8th, 1948, the Porsche 356 “No. 1” Roadster received its operating permit. Thus was produced the first sports car that led to vehicles that would set the bar that all other sports cars are measured by. While the very first Porsche was a mid-engined vehicle, the later 356 models and the 911 would have there engines in the back (although some of Porsche’s successful road and race machines would use a mid-engine layout). With 70 years of history Porsche has made a number of legendary machines. Cars like the 356, 911, 550 Spyder and 917 are just a few that come to mind. Their cars are so good, for their time, that even Porsche’s less loved models would be the crown jewel in just about any other automaker’s lineup. To celebrate 70 years of Porsche the German automaker has unveiled a new 911 Speedster Concept car. The special 911 is a modern machine, but incorporates styling elements from various automobiles from its storied past. The Mazda MX-5 Miata has always been a pretty light weight car. While it is very heavy compared to Lotus standards, coming in at just 2,332 pounds, it is about 500 pounds lighter than vehicles like the Subaru BRZ. But what if it was even lighter? The folks at Mazda decided to find out what the result would be, so they built the MX-5 Miata Spyder and Speedster concepts. Both vehicles will be on display at SEMA starting on November 3rd.